Huge Price Reduction! Traditional home located in the waterfront gated community of Edenton Bay II, in a quiet cul-de-sac. Sits close to a pond and within water view offering 10.5 ft ceilings, a kitchen and office with travertine floors, hardwood floors throughout, large master bedroom on 1st floor, 2 bedrooms on 2nd floor, a playroom and exercise room too. A covered porch over the back deck affords nice evening time with friends and family while grilling out! A double bay garage can accommodate 3 cars easily. Being sold AS IS !! Repairs are needed. White Oak Elementary Pre-School, Elementary School / Public N/A 9.7 mi. D F Walker Elementary Elementary School / Public 7 9.66 mi. Chowan Middle Middle School / Public 5 14.18 mi. John A Holmes High High School / Public 2 2.42 mi. Lawrence Academy * Elementary School, Middle School, High School / Private N/A 9.86 mi. Washington County Union * Middle School / Public 5 11.16 mi. 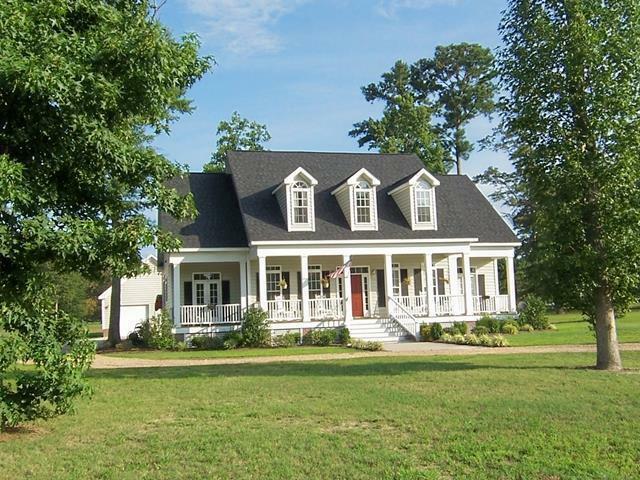 128 Mallard Cove Road, Edenton, NC 27932 is a 4 bedroom, 3 bath single family home was sold for $282,500.